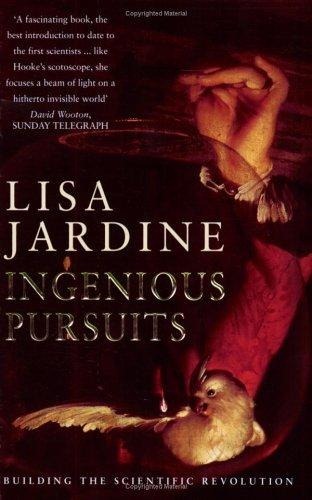 ““Ingenious Pursuits” by Lisa Jardine is the second book I have recently recovered from my shelves, first read long ago – the first being “The Lunar Men”. The book covers the late 17th and early 18th century, and is centred around members of the Royal Society in London but branching out from this group. It is divided thematically, with segues between each chapter. My edition is illustrated with Joseph Wright of Derby’s “An experiment on a bird in the air pump”, painted in 1768. As a developing historical pedant this mismatch in dates has been irritating me! The book opens with a chapter on Isaac Newton, the first Astronomer Royal John Flamsteed, Edmond Halley and the comet which would eventually take Halley’s name. It’s also an early example of an argument over “open data”, Flamsteed was exceedingly reluctant to give “his” data on the motions of planets to Newton to use in his calculations. Halley is pivotal in this, not so much through the scientific work he did, but through his work as a conduit between the prickly Newton and Flamsteed. Robert Hooke features strongly in the second chapter alongside Robert Boyle; Hooke had originally been the wealthy Boyle’s pet experimenter – in particular he was operator for the “air pump”, a temperamental device for evacuating a glass vessel. The early Royal Society recognising his skills, persuaded Boyle to allow them to take him on as Curator of Experiments for the Society. Hooke was also involved with Christopher Wren in surveying London after The Great Fire, and designing many of the new buildings. In fact they also designed buildings with one eye to fitting experiments into them, particularly ones requiring a long uninterrupted drop. One sometimes gets the impression of a highly industrious Hooke implementing the vague imaginings of a series of aristocratic Society members. The constant battles with temperamental equipment will ring a bell with many a modern scientist. Robert Hooke is a central character throughout the book, Lisa Jardine has written a biography of him. Hooke was also responsible for Micrographia a beautiful volume of images observed principally through a microscope, of insects and plants. Antonie Van Leeuwenhoek, a Dutch civil servant and microscopist also supplied his microscopic observations to the Royal Society. It’s interesting that both Leeuwenhoek and later Jan Swammerdam, both based in the Netherlands, were very keen to communicate their results to the Royal Society in London. Interactions with the academiciens in Paris were more formal with another Dutchman, Christian Huygens, a central figure in the French group. Scientific discovery was already a highly international operation. This was a period in which serious large scale surveying was first undertaken, the French started their great national survey under Cassini. The British, under the direction of Sir Jonas Moore, set up the Royal Observatory at Greenwich, where Flamsteed was employed. Timekeeping was a part of this surveying operation. Finding the latitude, how far you are between equator and pole, is relatively straightforward; finding your longitude – where you are East-West direction is far more difficult. One strategy is to use time: the earth turns at a fixed rate and as it does the sun appears to move through the sky. You can use this behaviour to fix a local noon time: the time at which the sun reaches the highest point in the sky. If, when you measure your local noon, you can also determine what time it is at some reference point Greenwich, for example, then you can find your longitude from the difference between the two times. To establish the time at your reference point you can either use the heavens as a clock, one method is the timing of the eclipses of the inner moon of Jupiter (Io with a period of 1.8 days), or you can use a mechanical clock. In fact it’s from observations of these eclipses that the first experimental indications of a finite speed of light were identified by Ole Rømer. In the late 17th century the mechanical clock route was starting to become plausible: the requirement is to construct a timepiece which keeps accurate time over long sea journeys, at the equator (the worst case) a degree of longitude is 60 nautical miles and is equivalent to 4 minutes in time. Christian Huygens and Robert Hooke were both producing advances in horology, and would be in (acrimonious) dispute over the invention of the spring driven clock for some time. Huygens’ introduction of the pendulum clock in 1656 produced a huge improvement in accuracy, from around 15 minutes in a day to 15 seconds following further refinement of the original mechanism. Ultimately the mechanical clock method would win out but only in the second half of the 18th century.This astronomical navigation work was immensely important to nations such as Britain, French and the Netherlands who would even collaborate over measurements in periods when they were pretty much at war. Astronomy wasn’t funded for “wow” it was funded for “where”. Also during this period there was a growing enthusiasm for collecting things. At the Cape of Good Hope in South Africa, Hendrik Adriaan Van Reede was to start adding more native plants to the local botanic garden on behalf of the Dutch East India Company. The Dutch built their commercial horticulture tradition in this period. In France, botany was only second to astronomy in the money it received from the Academie des Sciences. Again, plants were not collected for fun but for trade. In England Sir Hans Sloane was to start collecting; bringing chocolate back from the West Indies, which he marketed as milk chocolate, popular alongside another exotic botanical product: coffee. He was also to bring back the embalmed body of his employer for the trip, the Duke of Albemarle. Sloane was to continue collecting throughout his life, absorbing the collections of others by purchase or bequest – his collection was to go on to form the foundation of the British Museum collection. In Oxford Elias Ashmole, of Ashmolean Museum fame, was to acquire the collection of the planthunter John Tradescant under rather murky circumstances. The collectors of the time were somewhat indiscriminate and not particularly skilled at organising their rather personally driven collections. In their defence though there was no good taxonomy at the time so raw collecting was a start. The final thematic chapter is largely about medicine, at the time medicine was in a pretty woeful state. Over the preceding years advances had been made in describing the structure of the human body and William Harvey had identified a function: the circulation of blood. However fixing it when it went wrong was not a strength at that time: surgeons “cutting for the stone” were becoming quite agile but there were few reliable drugs and a wide range of positively unhelpful practices. The book finishes with an epilogue drawing parallels between the discovery of the structure of DNA, and the intense personal story around it, with the interactions between the people discussed previously at the heart of this book. There is also a “Cast of Characters” which provides a handy overview of the book (should I forget its contents again). Compared to The Lunar Men it is an easier read perhaps because it is more discursive around themes rather than providing great detail. Thanks for this reminder of a book that I too have largely forgotten! As I mentioned on Twitter I really like your phrase “Astronomy wasn’t funded for “wow” it was funded for “where””! It’s always worth following the money…. It’s also a good point about the anachronistic cover picture – I’m sure it grated with the author too. What is interesting about it, though, is the fact that air pump experiments were popular showpieces, and considered emblematic of the ‘new’ philosophy, for so long. @beckyfh the same true for the botanical collections: very pragmatic commercialism. Hooke’s battles with the air pump would strike a chord with a modern physicist – trying something at the cutting edge which only works half the time with the right operator! As a result of this book, and the earlier ones on the Royal Society, I’ve got myself Alan Cook’s biography of him. I’m also wondering about the history of mechanical timepieces and early patent law. Halley is pivotal in this, not so much through the scientific work he did, but through his work as a conduit between the prickly Newton and Flamsteed. I very much doubt this statement as Flamsteed argued with Newton but he really and truly hated Halley even to the extent of refusing to use his name! Mmm… maybe I misinterpreted here. Halley appeared to be a front runner in encouraging Newton to get on with Principia, my understanding from this book was that he was also involved in trying to extract the astronomical data from Flamsteed. 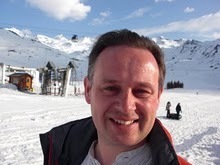 Shamefully, I don’t know that biog of Halley – hope you enjoy it. On patents you might be interested in Christine Macleod’s Inventing the Industrial Revolution: The English Patent System, 1660-1800 http://books.google.co.uk/books?id=936BqhvTGSQC&dq=Christine+Macleod+patent+inventing&output=html_text&source=gbs_navlinks_s – quite academic, but covers some fascinating ground. ooo… thanks! I suspect any book on the early history of patents is going to be quite academic. There doesn’t seem to be a great deal of biographical work on Halley – I picked him up because of the survey work and he was also responsible for some early magnetic field mapping work (which was very advanced for the time). I also thought about that when I wrote my comment but I also don’t know when Flamsteed and Halley fell out with each other. As you correctly say Halley was originally a protégée of Flamsteed’s via Jonas Moore, however by the time Halley was nursing Principia through the press he and Flamsteed were no longer on speaking terms. Willmoth in his Moore biography says they became rivals shortly after the founding of the Greenwich observatory but is not more specific. Have just discovered that there is a paper from Alan Cook published in Frances Willmoth ed., Flamsteed’s Stars, which deals specifically with the history of the relationship between Halley and Flamsteed. Should be in ROG library? Hooke/Flamsteed/Newton do seem like an unusually fractious bunch. I’m wondering how you calibrate interpersonal relationships at a distance of 350 years. @Ian – Halley was crucial in getting the first edition of Flamsteed’s catalogue out, or stealing, plagiarising and bowdlerising it, in Flamsteed’s view.